Following the high profile purchase of Whatsapp, Facebook has made yet another acquisition. The company behind the Oculus Rift virtual reality headset, which found success on Kickstarter (and has since been the darling of the indie tech scene) was bought for $2bn this week. In fact, healthcare is already a big adopter of virtual reality, with applications already in surgery simulation, phobia treatment, robotic surgery and skills training. iBeacons: a step forward in location based marketing? Brands including WHSmith, Macy’s and Eat are using a new technology to deliver targeted messages to their customers’ mobile phones. ‘iBeacons‘ allow retailers to send discounts and offers straight to users who are in a specific location, without the need to open an app, scan a code or browse a website. iBeacons use a Bluetooth connection to send data to mobile devices from stationary beacons. They use Bluetooth 4.0; a new format of Bluetooth that is built into many modern smartphones. The easiest way to understand how they work is to imagine them in terms of a traditional beacon: an object that sends a signal to communicate its location to those around it. As such, iBeacons only transmit small amounts of information from distances of between two inches to 50 metres. Educators and educational technology entrepreneurs have been mixing at SXSWedu. Our online learning platform, BMJ Learning, is thinking hard about its next phase, so Dr Helen Morant went along to the educational innovation conference in Texas to see if we could learn anything. This post has Comments Off on Helen Morant: Education meets technology in Texas. Docphin: a “Bloomberg for Doctors”? This time last year I reviewed Browzine, an app that lets its users browse, sort and save scholarly and peer-reviewed articles on the go. Docphin (the Personalized Health Information Network) is of a similar ilk but with a few key differences; not least its focus on medical journals. Founded by a group of physicians in 2010, Docphin seeks to address the need of medical professionals to keep up-to-date with medical literature in an easily accessible format. By the end of 2013, it was being used by over 350 institutions in 15 countries. What does Facebook Paper mean for publishers? The tech community has been watching closely since Facebook went public in 2012 and began its mission to engage mobile web users. News about younger users abandoning Facebook for the trendier Whats App and Snapchat have fueled many a doomsday warning, but refinements made to the platform’s app over the past year appear to have been successful. According to Facebook, an enormous 945 million out of 1.2 billion monthly active users were using the company’s mobile products by the end of 2013. Twitter generated an entire ecosystem of social networking apps, each striving to make using multiple social networks, posting everywhere and sharing longer posts, easier. Twitter then started cracking down on how third party apps could use its API and most of us moved back to using each network individually. However, there are still a few apps out there that can make social networking easier and more productive. One of the best is Buffer. Diabetics could soon avoid pinprick blood tests using a smart contact lens that measures glucose in tears. 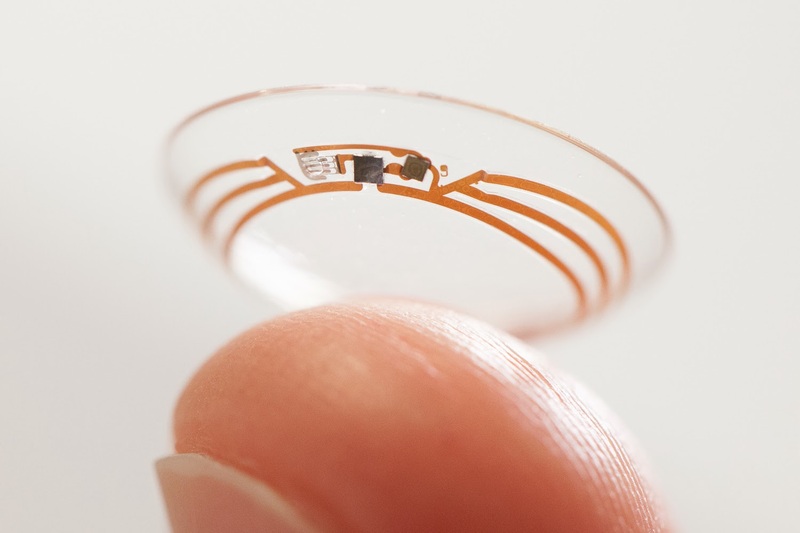 A prototype shown off by Google (with a little help from Microsoft) uses an embedded miniaturised glucose sensor and wireless chip to measure glucose levels as often as once every second. In December 2013, Facebook changed the algorithm that determines which “stories” are visible on the News Feed. It seems that the social network has begun to prioritise content from sources that users engage with most. Some fear that content from a ‘liked’ Facebook page will therefore become negligible if it does not engage its readers. This post has Comments Off on Facebook News Feed: fewer memes and more high quality news content, please. Predicting the future, especially in the dynamic world of Technology, is a risky business. However, it’s that time of year when the great and good cast caution to the wind and suggest key areas to watch in 2014. Here’s a round-up of the main themes to look out for. This is the big one. 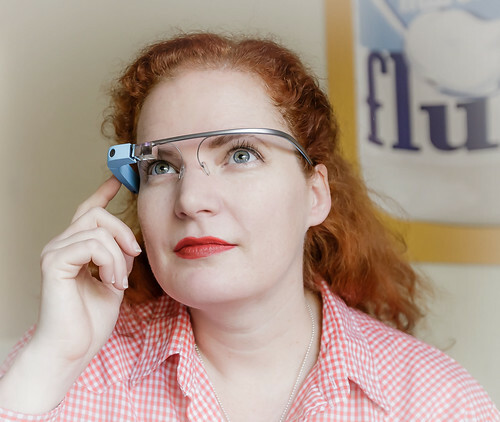 A survey for software firm Citrix showed that 91% of Americans are excited about gadgets you can wear – be they glasses, wristbands or clothing. 2014 promises smart-watch launches from Google and Apple, as well as a host of other tech accessories. TV ads, with their emotive stories and soundtracks, tend to get the most attention in the run-up to Christmas. However, online sales figures show that digital now plays a significant part in seasonal campaigns. And not only in selling, but in promoting and monitoring a campaign too. YouTube views and social buzz can be a good indicator of how a campaign is doing. With so many consumers now multi-screening (whether stacking or meshing), TV and online are more closely related than ever. The best seasonal advertising campaigns are therefore those that are cross-platform, with online, email marketing and social offering a brand experience that seamlessly blends with and compliments an offline campaign. Here are some of the best performing and technically advanced campaigns from the past few years. This post has Comments Off on Innovative digital campaigns from the festive season.